Being able to read fast or ‘speed read’ is definitely an asset in today’s day and age and not only will it help you to chew your way through novels faster but it will also help boost your productivity at work. For example if there are freelance writers needed and one is able to read and absorb faster, odds are they’ll be able to write faster too. Many people tend to ‘sound out’ the words that they’re reading in their head, and some even actually mouth them as they do so. The reason why you want to get out of this habit is simple: So long as you’re ‘sounding out’ words you’re going to be limited by the speed at which you can sound them out. Start by consciously stopping yourself when you find yourself mouthing words as you read. One effective way of doing so is by humming instead. Once you’ve accomplished that, you can start to work on preventing yourself from ‘sounding out’ words in your head – which is harder to do, but not impossible either. The key to being able to read fast is to train yourself to read multiple words in a single glance. Generally people tend to read word-by-word because they were taught to read each word individually, but the eye is able to capture more words with a glance than that. Initially you may just want to try to take in three or four words at a glance, but soon enough you may find that you’re able to take in entire lines and that will certainly help if you’re working through programming books or something else of that nature. 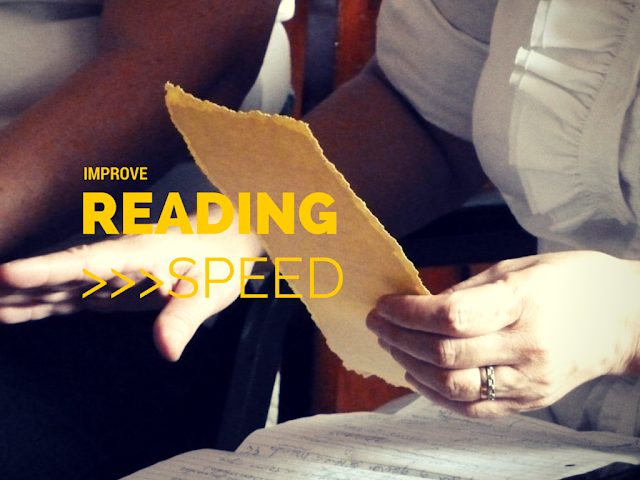 One of the most effective ways to boost your reading speed is to set a pace. Use your finger, or a ruler, or some other indicator to move across each line and down the page as you read. Not only will this give you an idea of how fast you’re actually reading, but it will also let you ‘adjust’ the pace and increase it slightly as you go along. On top of that, the indicator will also help you to keep your place so you don’t ‘regress’ and end up having to re-read certain sentences. Of course there are many other ways to improve your reading skills too. The three that you just discovered should give you a great place to get started however, and from there it is really just a question of building on it. As you go along you’ll find that your reading speed is a great help and it is something that you may even want to list when you apply for online jobs. Certain opportunities such as the ones where that has freelance writers needed at www.uvocorp.com would definitely be a good place to start.